March wasn’t a particularly busy reading month but I did read some really good books and ones that were quite different from each other too. I think my favourite book this month has been The Search by Geoff Dyer as I got really drawn into it. I also published a review of The Cone-Gatherers by Robin Jenkins which I read back in November last year. I’m really happy with my blogging this month as I feel like I am finally getting the hang of it and being a little more consistent in putting up reviews soon after I’ve read a book. It’s taken me a while to get to this stage and I find that I am enjoying it more and more. 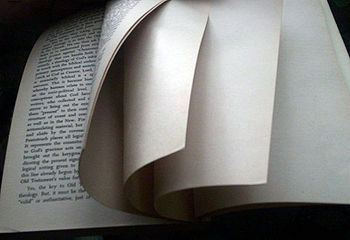 I started a new Wish List page where I aim to put links to reviews that have inspired me to read something that I hadn’t heard of or just hadn’t fancied before. So far I have Life After Life by Kate Atkinson on there which I will hopefully get my hands on soon! I’m really looking forward to what’s in store in April as I have embarked upon something a little different by reading several books by Evelyn Waugh all in one month. I started reading Scoop yesterday which I’m already finding very funny, and after that I’ll be reading Vile Bodies and A Handful of Dust. Another of Waugh’s books, The Loved One was recommended to me by Fleur Fisher of the Fleur Fisher in her world books blog – I don’t have a copy but I’m planning to borrow one from my local library and add it to my list. If I have time, I may even re-read Brideshead Revisited! I might try and catch up on a few Waugh films too – I’ve seen the 2008 film version of Brideshead Revisited but didn’t rate it highly and I’ve heard the TV series with Jeremy Irons from the ’80s is far superior so I’ll see if I can find that. The film version of A Handful of Dust has also been recommended to me so I’ll try and track that down, as well as watching Bright Young Things after I have read Vile Bodies (the book on which the film was based). Finally, I have also looked out Of Mice and Men by John Steinbeck to re-read as I was reminded of it so much when reading The Cone-Gatherers and fancied reading it again. So I have a busy month ahead of me and potentially 6 books to get through – looking forward to it! For me, I think January has been quite a fruitful reading month. I may not be quite as voracious as other books bloggers but I’m pleased with how I’m doing. I always feel so behind as I don’t read as much as others and I need to keep reminding myself that it’s not a competition! This month, I finished reading Gone Girl (which I’ll discuss next week after I’ve met up with the book club), I finally read Pride and Prejudice, and I have read two advanced proof copies of books from my work – A Tale for the Time Being by Ruth Ozeki and The Crane Wife by Patrick Ness. I’m a bit loath to review the proof copies on my blog – part of this is that it doesn’t seem right to review books that haven’t been released yet (A Tale for the Time Being will be out in March and The Crane Wife isn’t out until April), the other part being that I don’t want anything to bias my book reviews other than my own personal views upon reading them. So I suppose this is just a note to say that I will keep tracking any proofs I read for my work on my Books 2013 page (I will note this alongside it), but I probably won’t write a review of them here. I may still occasionally write reviews of backlist titles by Canongate though I will try and keep this blog for my own personal reading. On to February and what I will be reading – I’ve started reading Wuthering Heights (which I already have mixed feelings about) and I’m hoping to also finally get to grips with Wolf Hall by Hilary Mantel. 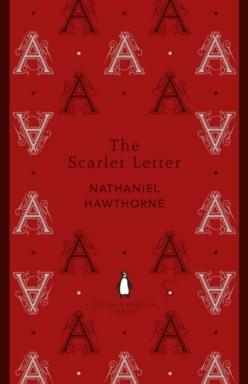 I’ll hopefully manage to fit in Nathaniel Hawthorne’s The Scarlet Letter and The Woman in White by Wilkie Collins too. Other than that I have no plans as yet and shall wait to see what whims betake me! What have you been reading in January? And is there anything you’re looking forward to reading in February?